Did you or a friend get engaged recently? With so many engagements happening on or around the Valentines Day season, wedding planning is about to begin! Front Burner Group Dining has the perfect venues to host your engagement party, rehearsal dinner, or wedding reception. When planning an engagement party you first need to think about the vibe you are going for. Are you interested in something refined, elegant, and upscale? Are you looking for a space that can accommodate speeches or slideshows? Or maybe you are interested in something more fun, upbeat, and casual? 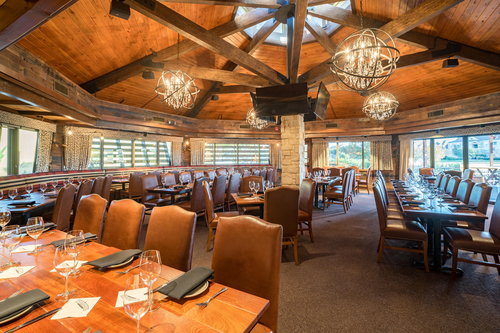 Front Burner Dining has just the venue you need. While looking for a rehearsal dinner venue you want to be sure you select a space that allows for toasts, a potential slideshow, and enough seating for guests to eat and enjoy themselves. A rehearsal dinner is usually a more intimate event with just the couple’s close family and friends, so selecting a space that allows your guests to be comfortable is important. Wedding receptions are all about celebrating the happy couple. First, you need to think about the theme and vibe you are wanting to project with the wedding reception. Are you looking for something more traditional? Or are you looking for something more unconventional and laid back? You usually want space to dance, for food and drinks, and room for decorations and extras! No matter what you are looking for, at Front Burner Group Dining we ensure we have the exact venue you are looking for, even if you are not sure what you are looking for yet. We have eight different restaurants with multiple event options at each one. We serve exceptional food, provide outstanding service, and are your go-to for every wedding event. Depending on the desired venue, we can accommodate groups of almost any size. Interested in booking? Contact us today! We look forward to celebrating this season with you!